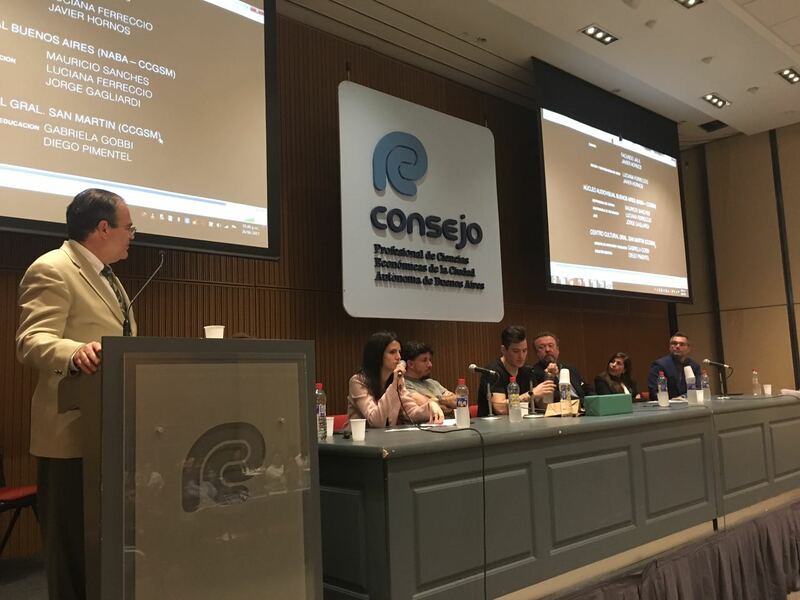 Durante la última semana de Junio fuimos invitados a participar a la Academia del International Council for Small Business, para integrar un panel sobre fracasos de negocios, donde profesores y emprendedores de distintas partes del mundo contaron sus experiencias. 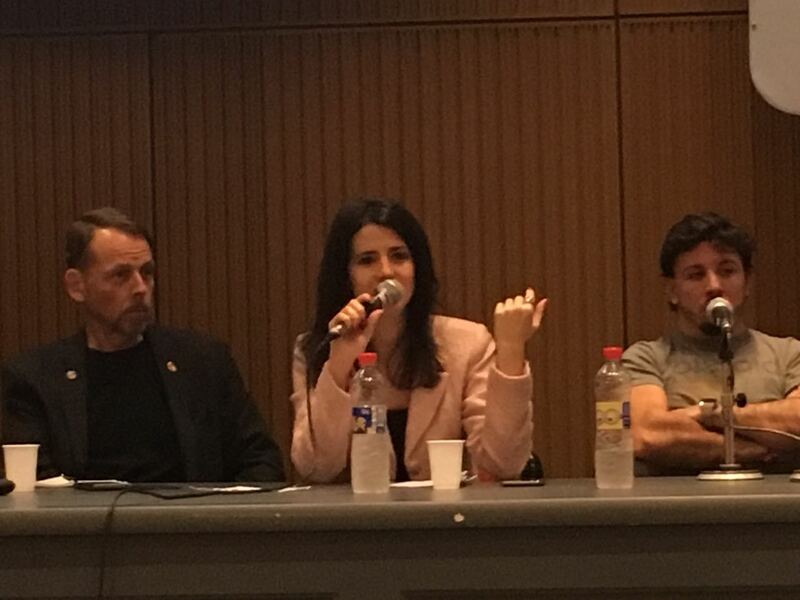 ICSB se realiza todos los años en una ciudad diferente, e incluye una semana de talleres y paneles, la cual se cierra con una jornada de ponencias. 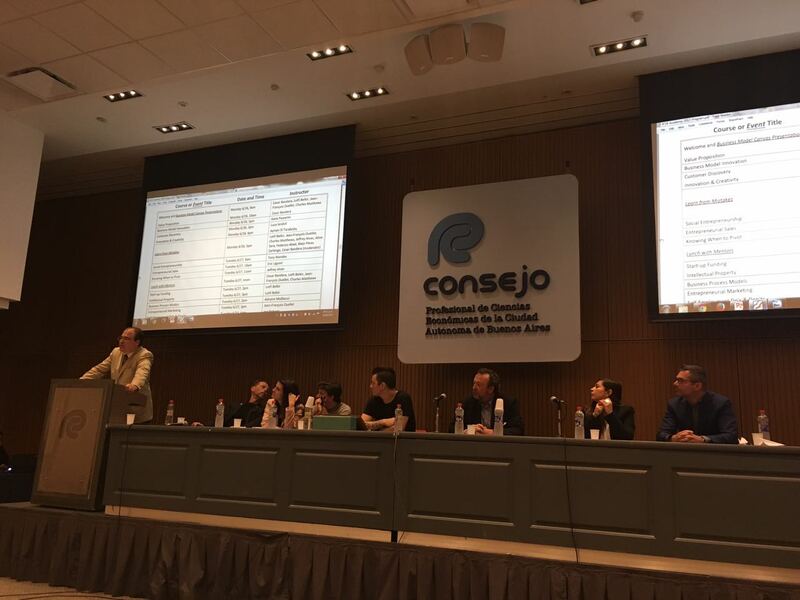 Debajo, adjunto fotos y la gacetilla publicada en el sitio de ICSB sobre nuestra participación. 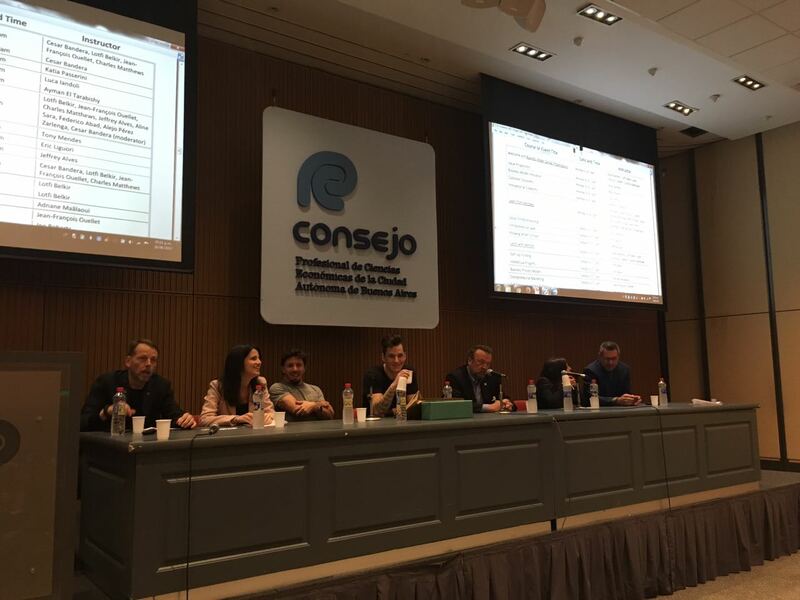 We are here in Buenos Aires, Argentina where the 3rd Annual ICSB Academy is taking place. Students from all over the world have gathered to learn about entrepreneurship from renowned entrepreneurs and academic leaders. 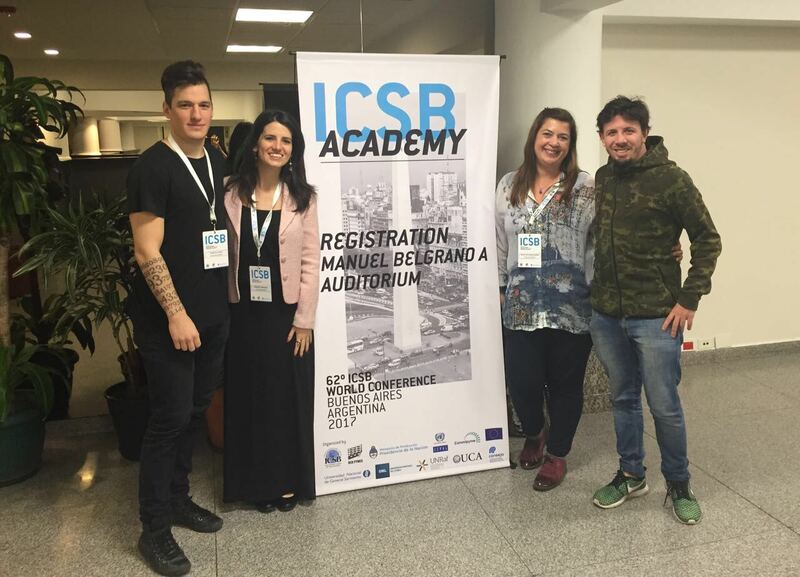 International Communication Graduate Students are competing at the ICSB Academy! Executive Director of ICSB, Dr. Ayman Tarabishy, talks to students about innovation and creativity.Students and global faculty put their innovation and creativity skills to the test by creating paper airplanes with coins inside. Students must then create a marketing pitch for why their airplane is the best. Students and global faculty put their innovation and creativity skills to the test by creating paper airplanes with coins inside. 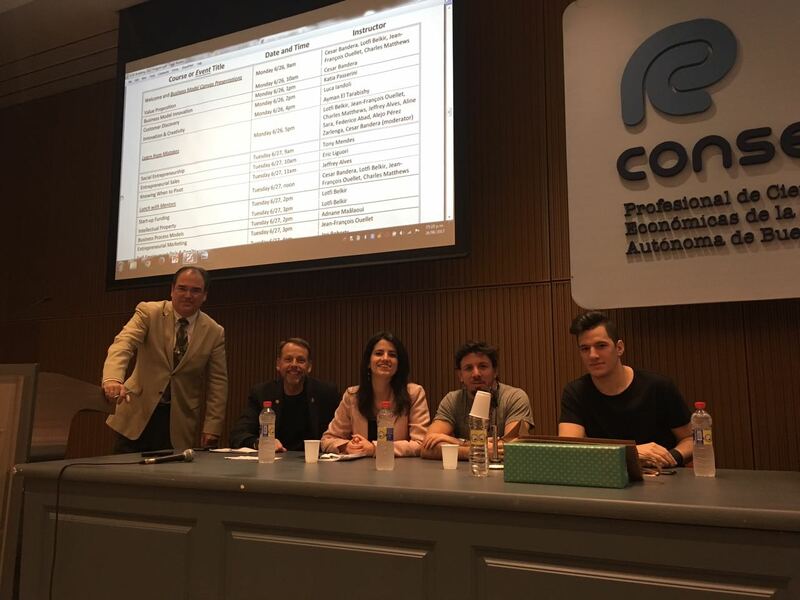 Students must then create a marketing pitch for why their airplane is the best.Students present their products and slogans at the ICSB Academy.Judges deliberate on the best marketing strategy and best plane among the groups of students. Students ask questions after the lessons learned panelists tell their stories. ICSB President Luca Iandoli tells the story of how ICSB Academy came into being, and gives final notes before ending the first session of the ICSB Academy 2017 Cohort. ICSB closes its first session of the ICSB Academy. A big thank you to all participants for an amazing day.